Community members will now have access to fresh fruits and vegetables regardless of where they live thanks to a new service provided by the YMCA. 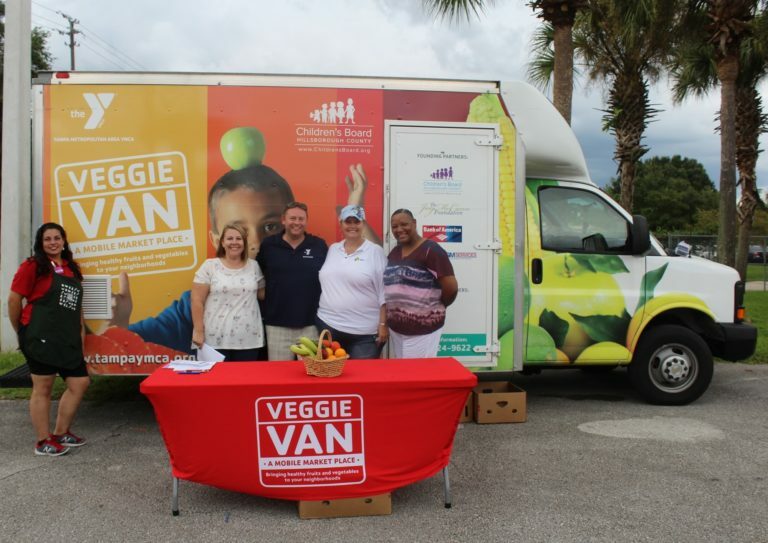 The Tampa Metropolitan Area YMCA is expanding its Veggie Van: A Mobile Market Place to Plant City, providing fresh fruits and vegetables to communities in need. The van services food deserts, urban neighborhoods without ready access to healthy and affordable foods, and has plans to come every two weeks to Plant City. Zach Hilferding, the executive director at the Plant City YMCA, said the van is helping those in need get the resources so many take for granted. The van’s Sept. 15 and Sept. 29 stops are scheduled for 2 to 3 p.m. at Dover Elementary School and 3:30 to 4:30 p.m. at Marshall Middle School. To receive a bag each family must complete an intake form and bring $1 per bag (two bags per person). Hilferding said the van is not bringing a market or a grocery store but simply fresh, nutritious fruits and vegetables that are difficult, if not impossible, to find at the many convenience stores and gas stations strewn throughout the communities the van visits. Elizabeth Roman, the mobile food market director, is the staffer in charge of the veggie van. Though Roman has visited many locations with the truck she said Plant City’s reaction to the service took her by surprise. The first stop in Plant City, Dover Elementary, had a line wrapping around the street and the veggie van sold out in the first 20 minutes, which Roman said is partly due to its excellent social worker. Roman said she brought an average load of 65 bags per school because she wasn’t sure what the turnout would be. Next time, she estimates having to bring at least 135 bags to meet the demand. Because of the high turnout, Roman said if the interest continues she hopes to grow the Plant City outreach into more than the current two stops, which are at Dover Elementary and Marshall Middle School. The ultimate goal would be to be able to visit every school in the area. Plant City’s heavy agriculture background also may soon play a role in the program. Roman said she would like to start partnering with farmers in the area to provide locally grown produce to those in need.